Includes: Demo rods can be provided at no extra charge. Extras: Please bring your own lunch. We are excited to have April down for a weekend of two handed casting and fly tying here at The Avid Angler. In years past, April has only hosted her intruder tying class through the shop. 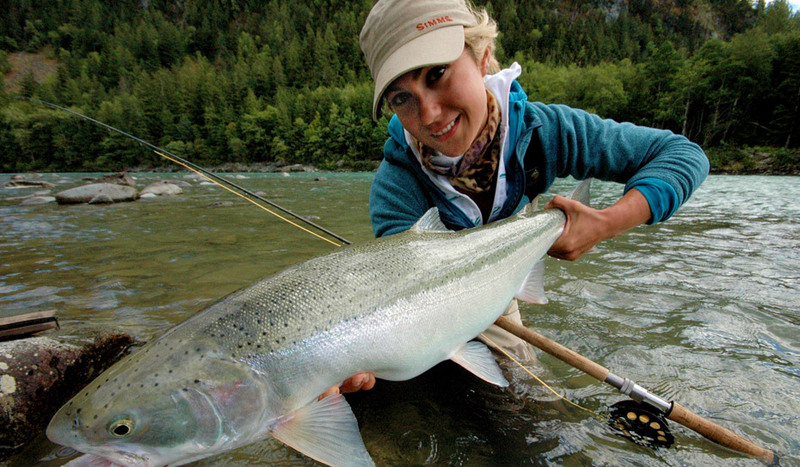 We finally convinced April to host a on-the-water Spey clinic. In the evening after the class we will be hosting her popular tying class. Students will learn how to tie some of her favorite steelhead patterns (on both tubes and shanks). Using tools to show students how their flies look in action, these classes are unique and are sure to teach even the most advanced of tiers a trick or two. In the words of April Vokey, "Skagit-casting is too often perceived by newcomers to the sport as being time-consuming and difficult to learn. At Fly Gal it is our mission to open the hearts and eyes to aspiring Spey-casters and evolving students of the sport. From the first-time fly-fisher, to the seasoned angler looking to rid themselves of bad habits, all skill levels are welcome. Participation is necessary in these courses and classes are limited to no more than six students per instructor. Every student is different and we are always eager to adapt our lessons accordingly in order to ensure that each new fly-fisher leaves us confident and eager to hit the river solo. Our Skagit-casting workshop requires moving water and includes both a theory and a hands-on session. 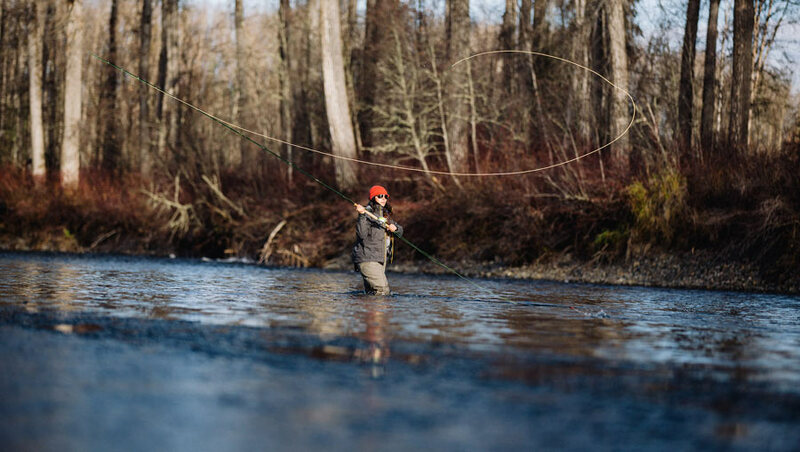 This course teaches the mechanics of why and how Skagit-casting operates, allowing students to develop their own style and work towards the common goal of being able to cast efficiently and with distance, regardless of what side of the river they are on. Students are encouraged to bring their own equipment so as to become familiar with their set-up, however we will provide equipment upon request. For instructional purposes we will be using a 13 foot, 8 weight rod with a 550 grain skagit head and intermediate sink tip." Please contact us at info@avidangler.com or call 206.362.4030 for more details.